There are many fine motor skills that kids need to develop for kindergarten. One of my kids’ favorite skills to work on is scissor practice! Which is a good thing because in kindergarten the focus changes from learning how to use scissors to cutting things out on a regular basis. 1. Get the right scissors. Young kids need to use child size scissors. Start with the blunt tip scissors as first and move up to the pointed tip version once they begin to master the skill. Make sure that kids who use their left hands to write and cut get the opportunity to practice cutting with left handed scissors. This is so important! Show kids how your thumb points up when you are cutting and demonstrate how to make the cutting motion. If you have a child that cuts with his elbow up in the air and his thumb turned down you can put a sticker on his thumb and remind him to keep the sticker up while cutting. Cutting paper is fun but it isn’t the only thing kids can use for practice. Kids who are first developing this skill may find it easier to practice cutting other things first. 4. Cut for a purpose. Not every practice session has to have a purpose in mind, but sometimes it is rewarding for kids to see their hard work used for something. We have a container where we keep scraps that they have cut to use for craft projects. They have used the pieces to make collages, on sticky walls, and in many of their art creations. Thank you to My Cute Graphics for the use of this superhero kids graphic. And catch up on my other Get Ready for K Through PLAY! posts too! Next week we’ll all be back sharing activities to develop the alphabet and phonics skills needed for Kindergarten! In the meantime be sure to follow our Get Ready for K Through PLAY! Pinterest Board for a huge collection of Kindergarten readiness activities! I love the sticker idea for positioning the scissors the correct way! We need to brush up on this skill before kindergarten starts. Thanks for the tips. This is so great! 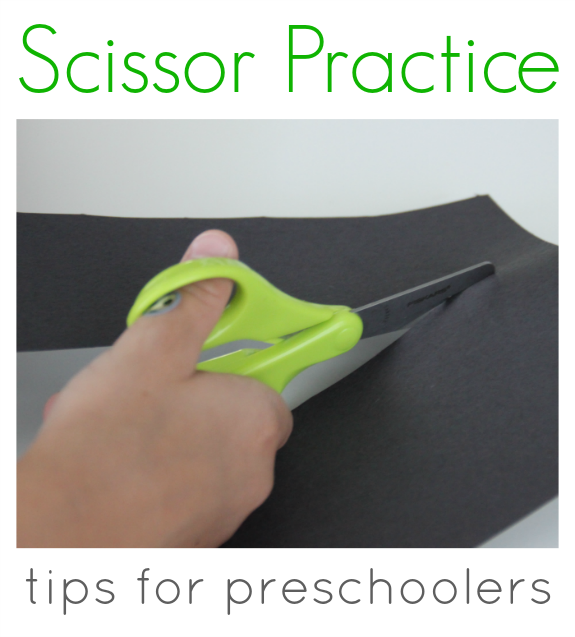 I think fine motor skills and especially scissor skills are so important! I shared this on my FB page and pinned it! I would also love it if you linked this up on our blog hop on Thursday! Thanks again for this great post.